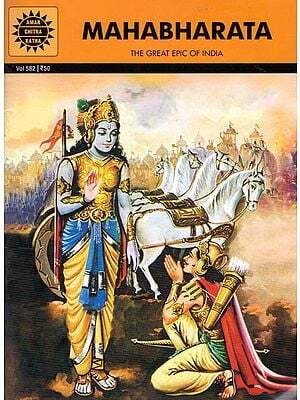 This volume is a collection of essays that attempts to exemplify the protean nature of Vyasa’s Mahabharata. Vyasa apart from his being both a character and a virtual narrator who manages his narrations through several voices had seemingly many strongly felt moral concerns close to his heart. The essays presented here explore many a vexing question the ethical and the epistemic concerns issues of gender caste and metaphysical evil that the epic raises. The volume also addresses the question of how each regional language looks upon the epic as a contested site and works out its own form of appropriation its variations in theme plot, and character. The essays trace the interpretive changes made in different versions of the epic in other Indian languages and attempt to contribute to our sense of the epic as something composite made up of multiple texts/contexts and put together under multiple perspectives. The well focused learned articles of this volume project some of the recent reflections and variations on the ever enigmatic ever-haunting Mahabharata that is deeply interwoven into the culture of the land. TRS Sharma has taught literatures in English in the Universities of Delhi, Alberta, Annaba (Algeria) and Kakatiya. He was senior Academic fellow and Deputy Director at the American Studies Research Centre, Hyderabad (1987-89). His Published works include poetic Style in Robert Frost tale of the Glory- bearer an English verse translation of a medieval Kannada classic Yasodhara carithe by Janna and toward an alternative critical discourse on Indian aesthetics.